Mimaki Eurasia will present digital textile printing innovations at ITM2018. This show presents the latest solutions to the Turkish textile industry which is continuing its growth. After reorganizing their structure in the Turkish market last year, Mimaki will welcome their visitors with their textile dealers A.I.T. and DigiMania together at the same booth in this year’s exhibition. They will exhibit the digital printing solutions especially demanded by the Turkish textile industry. On show will be textile printing solutions for a wide range of natural and synthetic fabrics in the textile industry. 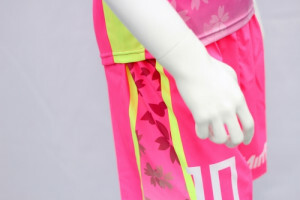 The company will highlight the Mimaki Tx300P-1800 and Tx300P-1800B printers that can print directly on the fabric. These printers can use two different textile inks at the same time. The dual ink capability makes it possible to print with pigment inks on cotton fabrics. This allows printing on polyester with sublimation inks on a single printer without time and effort and changing the type of ink. Tx300P Series printers can be used in full capacity in many areas such as fashion and clothing, scarves & silk ties, handbags, home textiles & upholstery fabrics, flags & soft signage, textile retailing, PoS (point of sale) products and many more. 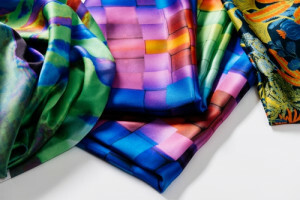 Developed specifically for printing on modern stretchable materials, the Tx300P-1800 is a solution for the production of fashion, clothing and soft furnishings. The sublimation transfer printer TS500P-3200 is Mimaki’s newest wide-format transfer paper printer. Higher productivity of this printer coupled with its speed and high quality in printing meets the demands of the end users in the trade show, retail and household goods industries. The printer achieves a maximum speed of 180 m2 per hour. MAPS (Mimaki Advanced Pass System) features high print quality for reliable and continuous printing. Its mechanic includes a 12 printhead configuration in 3-row staggered array and a Nozzle Check Unit for the nozzles in the printheads. Offering wide-format prints, the TS500P-3200 has a wide range of applications: beddings and curtains, as well as home furnishings and upholstery fabrics, textile retail, and provides service in many other areas as well. The new generation high-speed sublimation textile printer TS300P-1800 was specially developed for the textile industry. Providing cost-effective sublimation printing, this printer helps textile manufacturers achieve their goal of high quality and high profitability. It brings together a number of creative technological features in order to minimize the cockling. Mimaki TS300P-1800 is tailor made for fashion, apparel, sportswear, home furnishings & upholstery fabrics, soft singage, textile retail, PoS products, exhibition graphics, wall art and much more applications. Developed after the mostly demanded printer in the series JV300-160, the new JV300K-190 offers a 30cm larger area and has a printing capacity of 190 cm. Offering a variety with different inks, the JV300 series makes photo quality possible at the highest speed of its class. This series comes forward as a final wide-format solution package for signage & advertising professionals, sportswear, fashion manufacturers, print centres and many more.